One of the fun things about living in the SF South Bay area is the abundance of hiking trails. As an active, outdoorsy type, getting lost in the woods is one of my favorite past times. I’ll never forget the first time I found a path along Steven’s Creek and decided to follow it because of its name “Zinfandel Trail.” At the time I just thought it was funny, but a couple miles up and around the mountain I came across a sign that piqued my interest “Winery ➡️.” So I followed it. Of course. At the end of my trail I found Picchetti Winery. So I popped in and did a tasting. Of course. And I absolutely fell in love with their signature white wine blend Pavone. About the Winery: Let’s take a moment to talk about Picchetti Winery because it’s actually a point of historical interest, as it was founded in 1890 and is one of the oldest California wineries still standing. Picchetti Ranch and Winery was founded by bothers Secondo and Vincenzo Picchetti one of the first grape growers in the now very well established Montebello ridge (you may be familiar with Ridge Winery) in Santa Clara Valley. Oh, and one of the very first grapes they grew was Zinfandel — hence the name of the trail I followed. 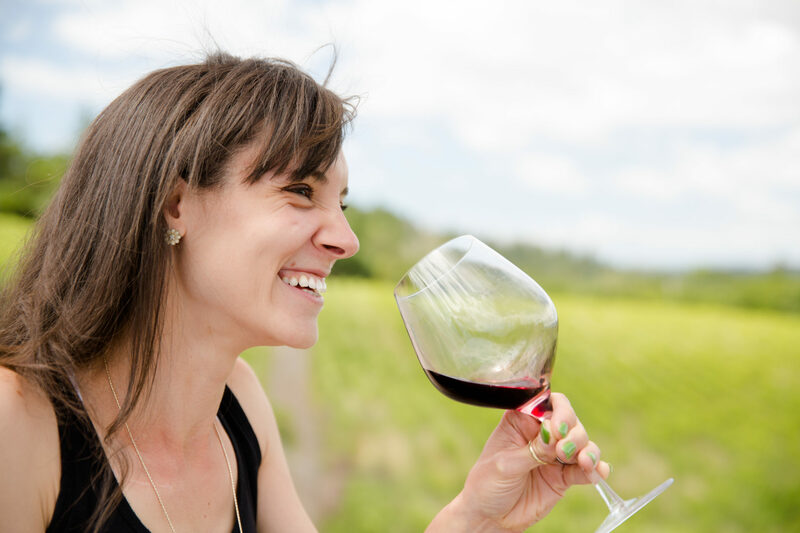 Today, Picchetti Winery is owned and operated by Leslie Pantling, produces over 9000 cases of wine annually, and include a multitude of varietals in their library including Chardonnay, Viognier, Sangiovese, Cabernet Sauvignon, and the grape that started it all, Zinfandel. About the Wine: Picchetti Winery 2014 White Pavone is made of 53% Chardonnay and 47% Viognier. The grapes were harvested from 3 separate vineyards from 3 distinct regions: 24% Chardonnay from the Boyd Vineyard on Montebello, 29% Chardonnay from the Bruzzone Vineyard in Felton, and the total 47% Viognier came from Marsha’s Vineyard in Sebastopol. Each vineyard lot was fermented separately, spending about a year in 100% French oak barrels (neutral), and then blended just before bottling. Flavor Profile: The Picchetti 2014 White Pavone is a powdery light yellow in the glass. I’d say a pale straw color, but it’s almost like the dust that would come off a bale of hay after tossing it into the barn. The initial aromas are creamy, nutty, with a hint of fruit — it’s most reminiscent of a caramel apple. The primary palate of the wine is quite smooth, if not a little fatty in texture. Come mid-palate, however, there’s a good bit of minerality that brings in a bit of sparkle on the tongue breaking up that initial heft. Flavors are secondary to the textures and include tropical stone fruits — think mango, guava, papaya — and a funky, kind of stinky flavor of raw honey just kind of lingers in the background. The finish is surprisingly hot, but completely enjoyable, leaving the essence of an island vacation on the tongue and on the mind. Food Pairing: Don’t laugh (too hard) at me, but I paired the Picchetti 2014 White Pavone with a homemade Hawaiian pizza. It paired perfectly! The melted cheese complemented those initial thick textures in the wine, giving body to the overall palate. What I love most about this wine is that even though the fruits are tropical in nature, there’s absolutely no pineapple aromas or flavors so having cooked pineapple (which reduces that pineapple’s schtank) counterbalanced those beautiful soft stone fruits found in the wine. I would drink this wine again. I would pair it with this meal again. And I would recommend this food and wine pairing to my very best wine friends. More Info: I fell in love with the 2014 Picchetti White Pavone at Picchetti Winery, so that’s where I bought this bottle. Good news: if you do a tasting at Picchetti Winery (choice of 5 wines for $15), your tasting fee is refunded with bottle purchase. Good deal for this $25 bottle. Will you hike for wine? If so, it’s definitely worth the trip. Otherwise you can find out more about Picchetti Winery, their available wines, and purchase wines directly on the Picchetti Winery website. honestly, being not much of a white wine guy, I kind of shudder at the blend of a rhone and a burgundian type wine…..its kinda like finding a “pinot noir blend”…..interesting blend. But, it sounds like it works somehow and thats all that matters.